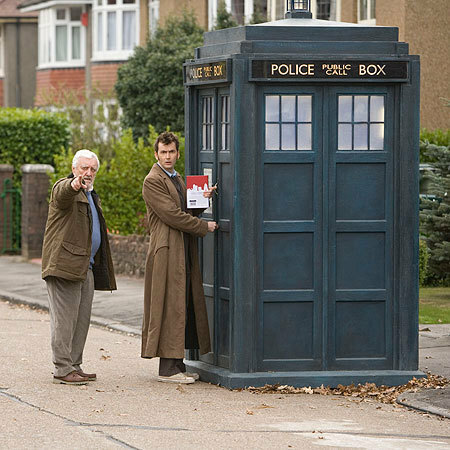 The Doctor and Wilf. . Wallpaper and background images in the Doctor Who: The End of Time club tagged: doctor who the end of time david tennant. This Doctor Who: The End of Time photo contains 전화 부스, 전화 상자, 전화 키오스크, and 전화 박스.